Kickstarter vs Indiegogo 2018 is the latest rivalry fight to capture our attention, comparable even to McGregor vs Mayweather, Android vs Apple, Edison vs Tesla…That’s going a little too far, but this rivalry is heating up. They are the leading platforms in the crowdfunding world, there are each other’s main competition in reward crowdfunding, which is when a backer pledges an amount of money to earn a reward/perk of a product or service. The main difference between Kickstarter and Indiegogo is that Kickstarter is limited to the projects you can use the platform for, it is specifically for the more creative ideas. Whereas Indiegogo is much more open, allowing for projects ranging from films to charities to apps to small businesses etc. Kickstarter also has a thorough review process when compared to its counterpart, there is a three-day review process, to ensure a legitimate effort on the part of manufacturers, Indiegogo doesn’t have that, you simply enter some basic information and go live. The fixed funding model, Kickstarters only option, if your project doesn’t reach its goal, you will not receive a single penny. The thought process Kickstarter has behind this model is that it provides backers with a sense of confidence that you’ll deliver on your promises, be they a new product or film, it also pushes anyone preparing to launch a campaign really think about what they need to make their dream come true, they won’t undersell themselves to their audience. Indiegogo has a different approach to funding, it allows the user the choice of either fixed or flexible funding. Flexible funding is when a campaign will keep the money pledged, even if it does not reach its goal, this gives backers a risk/reward challenge, they could essentially invest in your business or idea, and receive nothing for their support, this flexible funding model brings with it the constant communication issue, a campaign team must keep a valuable relationship with their backers. The success rate statistics of Kickstarter campaigns becoming fully funded is available for the public. As of April 2018, Kickstarter is showing 36.02% of campaigns become fully funded. Indiegogo does not provide statistics for successful campaigns, curious. Points awarded in Kickstarter vs Indiegogo 2018; Kickstarter gets one for the higher rate of projects being fully funded, Indiegogo gets one for the choices available with your project and the funding options, after all variety is the spice of life. Kickstarter has a better reputation for quality control then Indiegogo, therefore making a journalist or bloggers job easier to find a story on their platform, instead of having to do a tonne of research into a project and its creators. This means that Kickstarter receives more media reporting, which can be a huge bonus to your campaign, journalists and bloggers can make the online traffic head towards your campaign under rose tinted headlights. If this bonus of using Kickstarter is taken seriously it can be the difference between your campaign being unfunded, funded or it even trending to then become hugely successful. 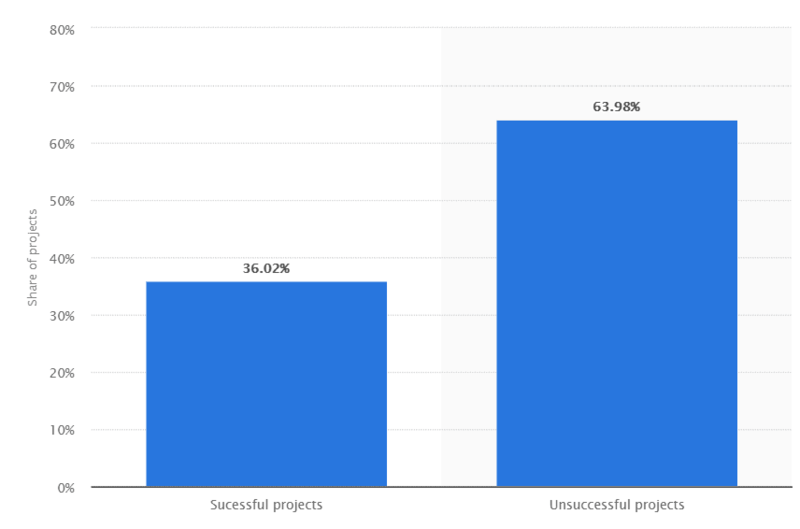 Kickstarter vs Indiegogo 2018 points awarded in outreach, Kickstarter is the clear winner here for me, the media reporting on your project can give it all the funding it will ever need. Kickstarter traffic statistics for the last 6 months proves that it is the more popular platform with over double the number of visits then Indiegogo. Indiegogo used to charge more fees for a campaign becoming funded, and even more still if your flexible funding didn’t work out, 9% is a lot when you didn’t even reach to your goal. However, both Kickstarter and Indiegogo have changed their fees to be 5%, and then the credit card processor, Stripe, will charge an additional 3-5%. Kickstarter vs Indiegogo 2018 points; one point each here, paying less for funding is always a good thing. Indiegogo allows for marketers to insert a Facebook pixel code into the campaign page, which creates an audience for your team to remarket the campaign to, with more targeted and detailed advertisements, Kickstarter doesn’t have this available, but there are services that can provide this for a Kickstarter campaign such as easy retarget. 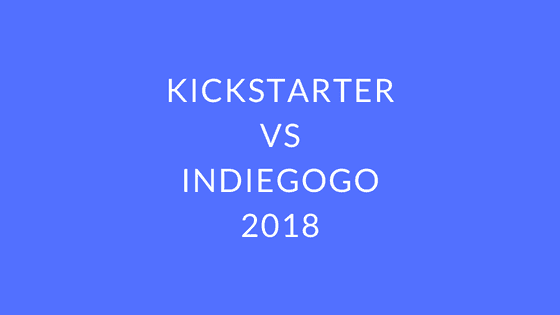 Kickstarter vs Indiegogo 2018 points; one point for Indiegogo in this section, having the remarketing tools available without using external services is a time and money saver. Kickstarter vs Indiegogo 2018-point breakdown, Kickstarter has 3 points to Indiegogo’s 3 points. Indiegogo outshines Kickstarter on a few small differences, the extra perks/rewards that can be added to a project and its international availability, these lack of constraints, however, can cause issues with quality control. Kickstarter has the higher rate of fully funded projects, it is the popular platform with the media and bloggers and the fees are the same compared to Indiegogo. The let downs; lack of remarketing software already implemented into the platform, as well as well as the limited nature of Kickstarter, with the available countries and the projects that can be funded through the platform. Let us know which platform you prefer, have you had success with one over the other? Place your bets for Kickstarter vs Indiegogo 2018.